How to Choose the Right Social Media Management Tool? There is no shortage of social media management tools. In fact, over the last few years, as the increasing global popularity of social media has made social media management one of the most important facets of effective modern marketing, the amount of social media management tools available has been consistently rising. However, the market has far from settled, and – though certain market leaders do exist – the social media management tool market is still very much a buyer’s one. Great news for those working in social media! 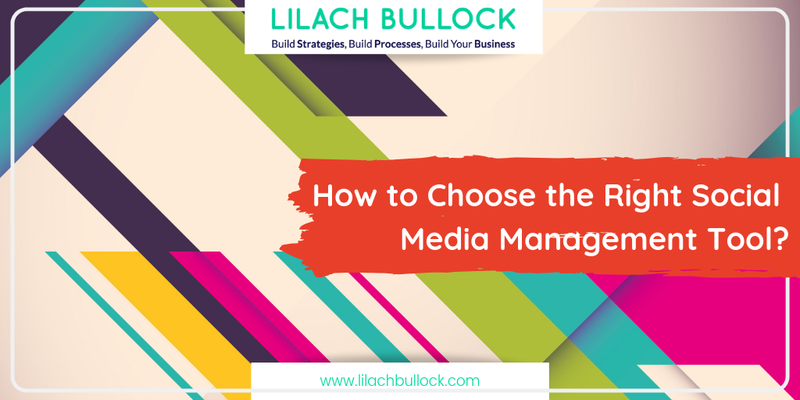 Still, with so much choice, how do you know what social media management tool is best (as well as which one will work best for you)? There is really no other comparable point of departure when it comes to choosing a social media management tool, since (so far as I know) no other organisation has collated the experiences of real users in such a comprehensive and focussed way. Interestingly, AgoraPulse ranked first (sometimes tying for first place with another tool) in every single one of the areas rated; whilst some of the perhaps more familiar names are ranked further down the list. 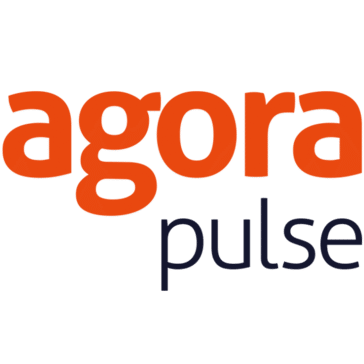 AgoraPulse, for those of you not yet in the know, was founded in 2011, and originally integrated only with Facebook. Now, however, as the tool has become more popular, it integrates with Twitter, Facebook pages, Instagram, LinkedIn (profiles and pages), and Google+ pages. There’s no doubt that it’s a great tool – boasting an impressive 99/100 for user satisfaction – and is particularly effective when it comes to managing social interactions on multiple networks, collaborating with others, and reporting. So, if you’re looking to get a social media management tool, the infographic is certainly a great place to start. But before you do that, here are my tips for choosing the right social media management tool. “You” is the key word here. Though there are many great social media management tools out there, they will only be able help you if they match your needs. So, before you so much as consider any particular social media tool, you need to know the reasons why you’re getting one to begin with. And remember, certain tools have either been developed specifically (or at least offer different packages) for freelance/individual social media managers and agencies – so it’s worth bearing in mind exactly who your tool has been aimed at. It’s also important that the social media management tool you choose works on the networks you wish to develop your presence on; not all tools work with all networks, so it’s important to check that your plans are possible with the tool you choose. On the other hand, you don’t want to pay more for a tool that works on networks that you can’t see yourself using. Since the market has yet to settle, pricing for social media management tools varies wildly. Some tools, such as TweetDeck, are completely free, though these usually offer fairly limited functionalities; whilst others, such as Radian6, cost thousands of pounds a month. And it’s not true that paying more necessarily means a better product. In fact, though more expensive tools may be great for large agencies, a freelancer or solo social media manager would struggle to get their value for money from one. That said, some of the best tools are paid tools, and – though it may be tempting to sign-up for a load of limited-function, free tools in an attempt to cover all of your bases for the lowest cost – the truth is that the best paid tools often have the advantage of in terms of comprehensiveness, ongoing updates, and professional support. Once you know how much you’re willing to pay, you should look at the various packages which most social media tools offer. These usually start off at a fairly affordable price and, as you pay more, increase the number of functionalities and extensions on existing functions proportionately. Like anything, you’ll only get the best product at the best price deal if you’re willing to do some research. There are hundreds of social media tools out there, each offering something unique. The best place to start is by googling your specific requirements. experts have written blogs about the tools you’re interested in, since these are often the place to get the most in-depth and professional opinions. It’s also worth remembering that many tools offer either a free trial or a freemium version. So, once you’ve selected a few potential tools, it’s a good idea to trial them so that you can see, not only whether they look good on paper, but whether they perform well in practice. No matter what your specific requirements are, there are some features that every good social media management tool should have covered by default. Collaboration – Even if you’re a freelancer, collaboration functions are important – you may, after all, be asked to work alongside in-house teams or in conjunction with other freelancers. Good collaboration tools allow tasks to be assigned to different people, files to be shared, messages to be sent, and give an overview of what each team-member has achieved. Monitoring – Social media moves fast, and so it’s important that you’re able to isolate just those things which impact you. This means being able to view what’s happening across all of your channels, listening for keywords relating to your brand, and viewing interactions easily. Analytics – Analytics can be used to understand what you’re doing right and where you’re getting it wrong, which are both vital insights for ongoing improvement. They also help prove to your seniors that your activities are having a positive effect. Let me know what you think. What do you look for in a social media management tool? And are there any tools that you’d recommended? Thanks Adem, will take a look as not as familiar with that tool.